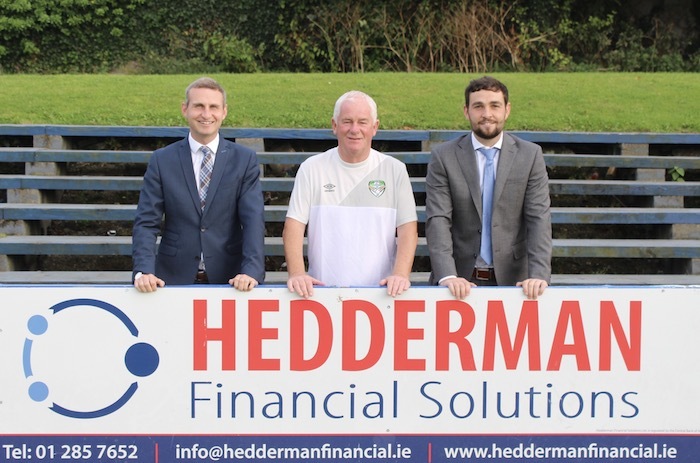 Cabinteely FC are delighted to highlight our valued sponsor Hedderman Financial Solutions who have sponsored the club for the third year running. Hedderman Financial Solutions is a family run business dedicated to providing impartial financial advice. we help our clients, plan the financial security they want, for themselves, their families and their business now and in the future. The sponsorship agreement sees the South Dublin financial planning firm sponsoring the players kit bags as well as their branding being highlighted on advertising hoardings around Stradbrook. Hedderman Financial have supported our League of Ireland team since day one but their support of the club goes even further back with the family business and it’s members being at the corner of our community and football club for many years.